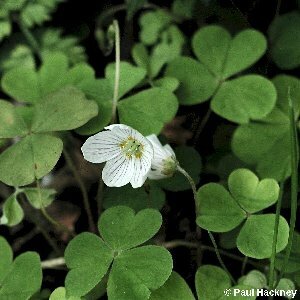 Wood-sorrel is one of the characteristic early spring-flowering plants of the woodland floor, along with wood anemone, bluebell and ramsons. It is characteristic of old woodland, native oakwood, demesne plantations and shaded hedgebanks. 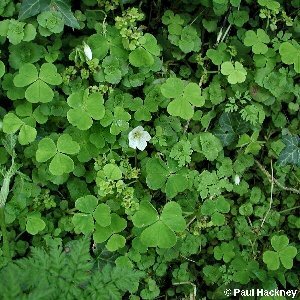 All names: Oxalis acetosella L.